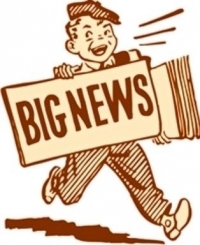 According the most recent official data, the U.S. continues to import record volumes of silver. This is quite interesting because retail physical silver investment and industrial demand dropped off toward the end of the year. After the huge spike in physical silver investment from July to September, demand cooled down in October and November. Thus, silver imports into the United States also declined during those months. However, something changed in December. 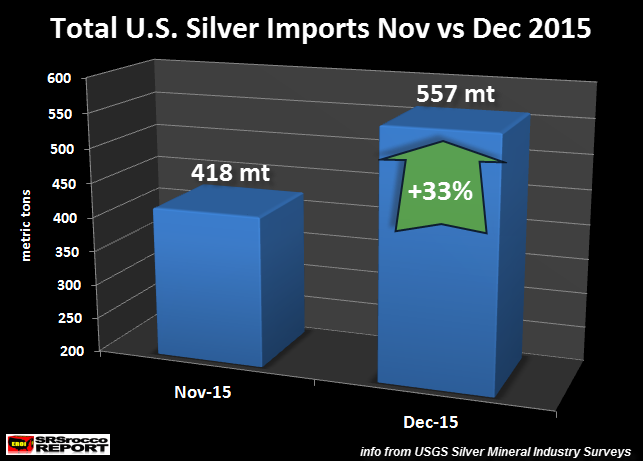 Again, why would silver imports surge in December, if physical investment and industrial demand was lower. I believe there are large entities acquiring silver off the radar. Hell, the Comex silver inventories declined in December. So, there was no need for additional silver imports to supply the Comex Exchange. According to the USGS statistics, the United States had to import 72% of its apparent consumption in 2015. Last year, estimated total U.S. silver consumption was 8,100 mt. Domestic U.S. silver mine supply was 1,100 mt and scrap supply was 1,200 mt for a total of 2,300 mt. 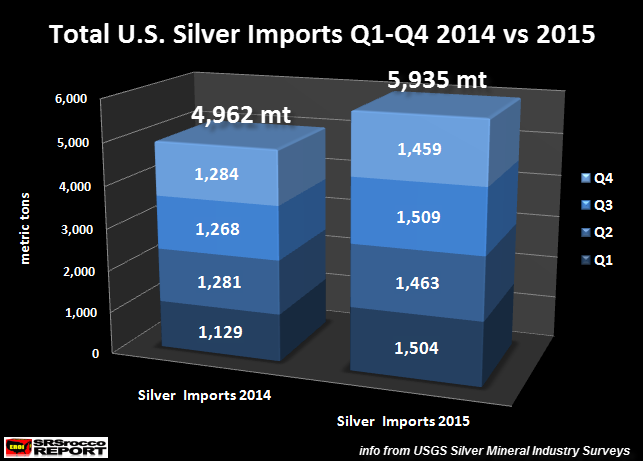 Thus, the U.S. had to import a net 5,800 mt to meet its total silver demand in 2015. This was the highest percentage in five years. 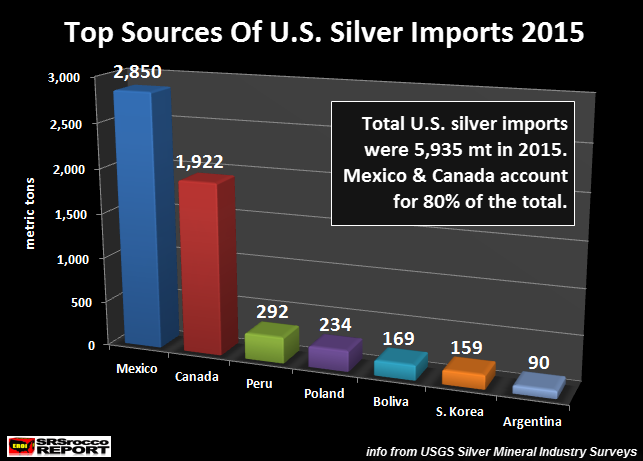 The second highest percentage was in 2011, when the United States had to import 66% of its silver consumption. This dropped to a low of 60% in 2012 as total apparent U.S. silver consumption fell to only 6,890 mt compared to 8,310 mt in 2011. What is interesting here, is that U.S. had to import a higher percentage of silver in 2015 than it did in 2011 ( 72% versus 66%). In 2011, the price of silver hit a high of $49 with much higher industrial demand. Compare that to a silver price in 2015 that is 71% lower, while industrial demand was likely 12-15% lower than 2011. So, the 1,000 metric ton increase of U.S. silver imports in 2015 went to fuel the insatiable physical retail investment demand. However, we see a strange anomaly in December as U.S. silver imports surged while retail investment and industrial demand declined. This leads me to believe someone with BIG POCKETS are acquiring silver while the market is lulled to sleep. With the huge spike in physical gold and silver buying yesterday as the prices surged 5%, it looks like 2016 could turn out to be quite an interesting year. I wouldn’t be surprised to finally see the avalanche of buying that will totally overrun the precious metal markets. If the United States had to import 72% of its silver last year to meet consumption, what happens when the world starts buying silver to protect their wealth? There just won’t be enough silver to go around. The day when the market price of silver goes over $100 with no sellers is coming.